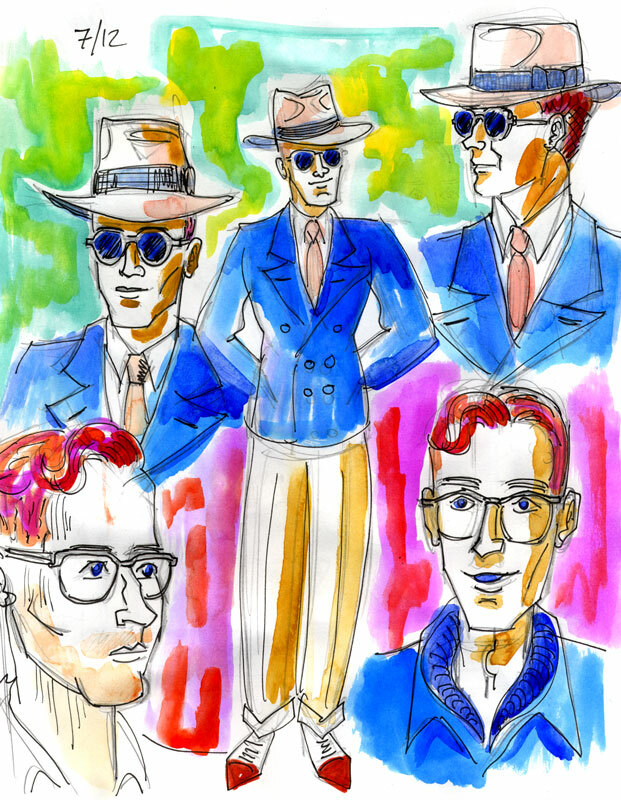 Character sketches from Ellen Lindner's story for ths upcoming Strumpet 2. Get ready for number 2 by taking a peek at Issue 1! It's on sale in our Etsy, and in the ink+PAPER shop. Greetings from Strumpet HQ...we got this postcard in the mail the other day and don't quite know what to make of it! Hope those poor holidaymakers survived! Well, we're glad that the Strumpet is getting a chance to relax because there's no time for a break here at HQ! Right now, we're hard at work on our new issue...see you soon with some exciting excerpts! You can now buy The Strumpet at the excellent Bergen Street Comics. Thanks to Bergen Street for taking this stroppy lady under their wing. And, as always, we're on Etsy, with cheaper shipping to the US, and the ink+PAPER store, for lower rates to the UK.